The field exercise in Danube Delta yesterday reminded Elyx of the importance of collaboration and cooperation in order to respond effectively to disasters. This is also exactly what Elyx is discovering while hanging out in Indonesia. Elyx entered the building of the World Food Program (WFP) located in Jakarta, Indonesia’s capital city, to discover how the United Nations’ agency joined forces after the Indian Ocean earthquake. 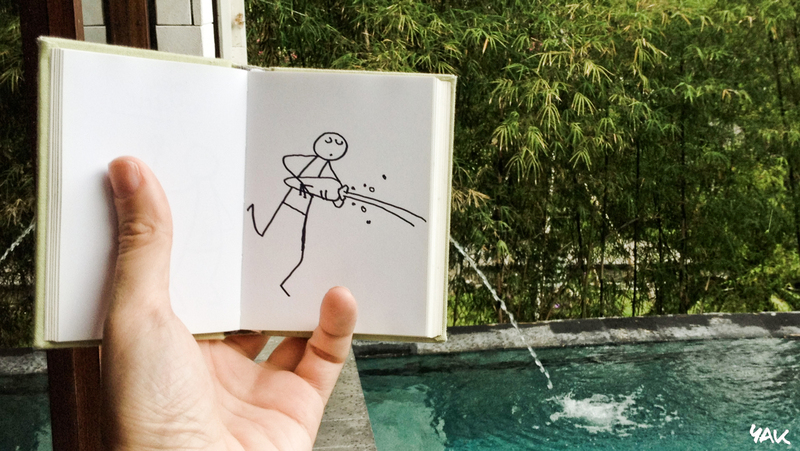 Elyx shares water in Bali. Elyx vividly remembers Christmas of 2004. Indonesia was struck by a massive tsunami triggered by the third-largest earthquake ever measured. The tsunami wiped away thousands of houses and innocent people’s lives in over 14 countries, the WFP’s team said. This immense natural disaster not only badly affected the Indonesian economy, infrastructure and social life, but its destruction was also felt around the world. The plight of affected peoples prompted a worldwide humanitarian response. 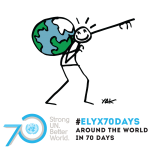 Elyx discovered from the WFP’s team that this was the agency’s most complex and wide-reaching emergency operation ever. They provided aid to more than 1.3 million people affected by the tsunami. Given serious food and water shortages, the WFP’s task was to provide a direct operational engagement through diverting cargo ships and airlifting tons of food to the affected regions. This logistic and humanitarian operation kept on going and five months after the devastating tsunami, WFP had dispatched 110,000 metric tons of food over seven countries and two continents. Elyx is stunned by the numbers the WFP staff members accomplished: 110,000 metric tons of food is enough to feed 2.15 million people across the tsunami zone. However, along the journey Elyx already learned that these types of operations are most of the time coordinated with the close support of other UN agencies, like the UNDP. Our digital ambassador has been told that not only other UN agencies came to the rescue, but also WFP’s partners, host governments, non-governmental and private organizations put their hands together to reopen supply routes. 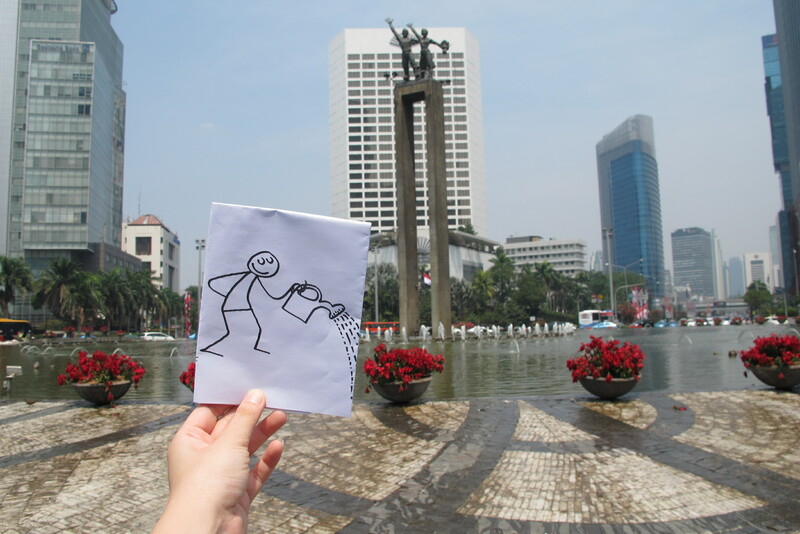 Elyx can see the result in Jakarta, as it was a successful relief phase. The people of the WFP told Elyx that they are still engaging in the reconstruction of Indonesia’s economy, specifically concerning basic needs of food and water. Our digital ambassador is being informed about the Country Programme (CP) 2012-2015. While Indonesia is turning into a Middle Income Country, this program’s aim is to secure access to food and help end the cycle of hunger and under-nutrition for the most vulnerable people in the area. 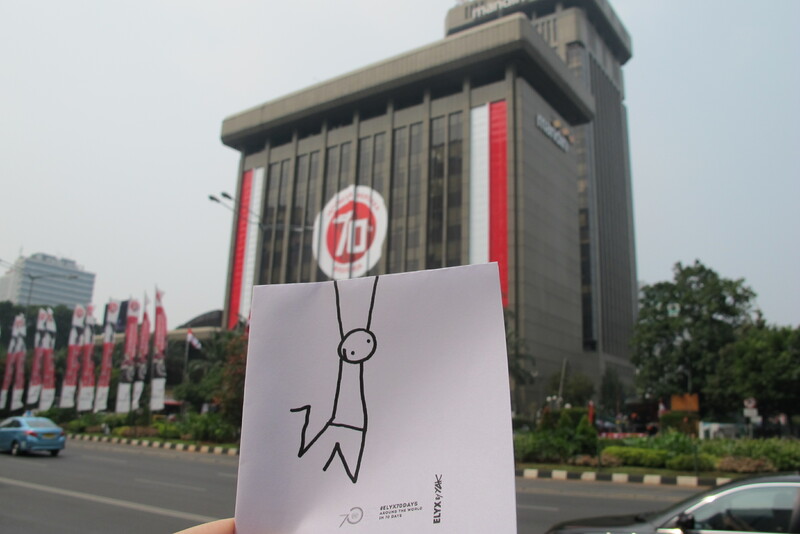 Elyx wondered whether the program would be continued, given its predetermined range of 2012-2015 and was told that the WFP continues its collaboration with the Indonesian Governments and districts both at national and provincial level, because although Jakarta’s outlook seems modern and reconstructed as shown by Elyx’s pictures, there is still need for a 2016-2020 portfolio of cooperation. Elyx now understands that the WFP’s role has moved on over time, from a direct operational engagement right after the tsunami, to capacity building, long-term recovery and the empowerment of government and communities in order to achieve sustainable food assistance solutions. With this knowledge and positive continuing collaboration between the UN agencies and Indonesia, Elyx is also ready to move on to Portugal. Monas was built in 1961 and has been open to the public since 1975. 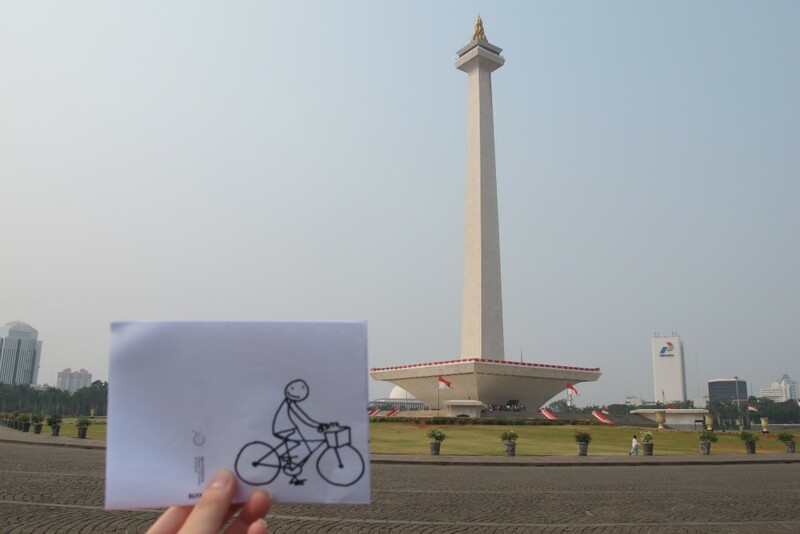 On the top of the monument is a gold-covered flame that symbolizes the Indonesian spirit that never ends.